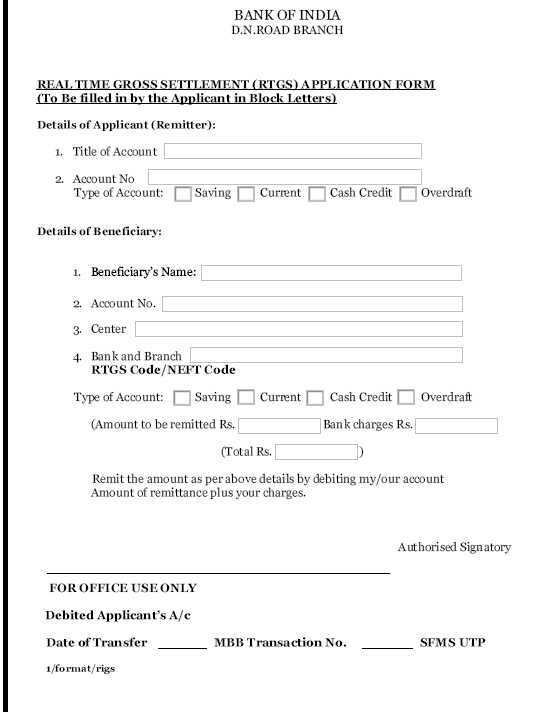 Will you please help me to get the RTGS form of Bank Of India so that I can fill that form easily? On your concern buddy I will get the RTGS form of Bank Of India so that you can check and fill it easily. The "RTGS" stands for Real Time Gross Settlement. The RTGS system facilitates transfer of funds from accounts in one bank to another on a "real time". The RTGS system is the fastest possible interbank money transfer facility available through secure banking channels in India offer by Bank of India. For Overdraft - 3 months Net Pension, Max. Rs.15000/-.